Assemblyman David W. Wolfe graduated from Westminster College in Pennsylvania with a B.A. in History in 1964 and went on to receive his Masters of Education and Guidance from the University of Delaware in 1967. Assemblyman Wolfe moved to New Jersey in 1969 and started his career at Ocean County College in Toms River as Professor of Psychology. Assemblyman Wolfe was elected as Councilman for Brick Township from 1975 to 1991 and served as Council President from 1980-81 and 1987-88. In 1991, he was elected as New Jersey Assemblyman for the 10th Legislative district and has been representing the district for over 17 years. Education has always been a driving force for Assemblyman Wolfe. He has served as Chairman for the Education Committee and Vice Chairman for the Joint Legislative Committee on the Public Schools. He also serves on the Joint Legislative Committee on Public School Funding Reform. Aside from education, he is also assigned to the Telecommunications and Utilities Committee. 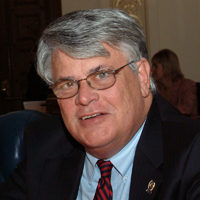 While serving in the Assembly, he has worked closely with the State Beach Erosion Commission as a past Chairman, the Ocean County Chapter of the American Cancer Society, the Governor's Advisory Panel on Higher Education Restructuring, and is a Board Member for the Health South Rehabilitation Hospital, A+ for Kids, and the Ocean Federal Foundation. 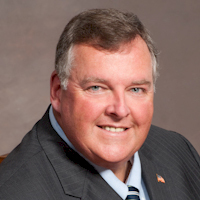 During his time in office Assemblyman Wolfe has been recognized by many organizations and schools and has been honored by the NARFE, ASAH, COSAC, the Ocean County Council Boy Scouts of America, and the Ocean County Bar Association. In 1995, he received the Brick Township Republican of the Year Award. He has been given a Certificate of Appreciation from Richard Stockton State College of New Jersey and Veterans Memorial Elementary School. Assemblyman Wolfe currently resides in Brick Township with his wife Carol and continues to teach at Ocean County College.